Was Gin´s mission really to poison Shinichi ? Nope, the mission was originally the transaction with the company owner. The encounter with Shinichi was also a coincidence. 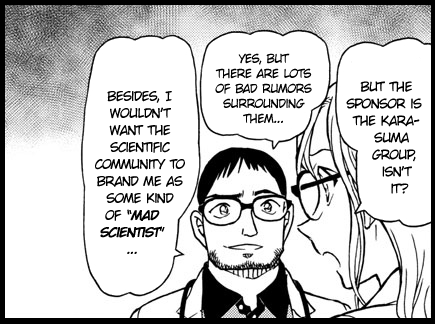 Also if we think, Gin said, Its the first time they used the APTX4869, so he didnt know any side effects of the drug. (Only Shiho knew). 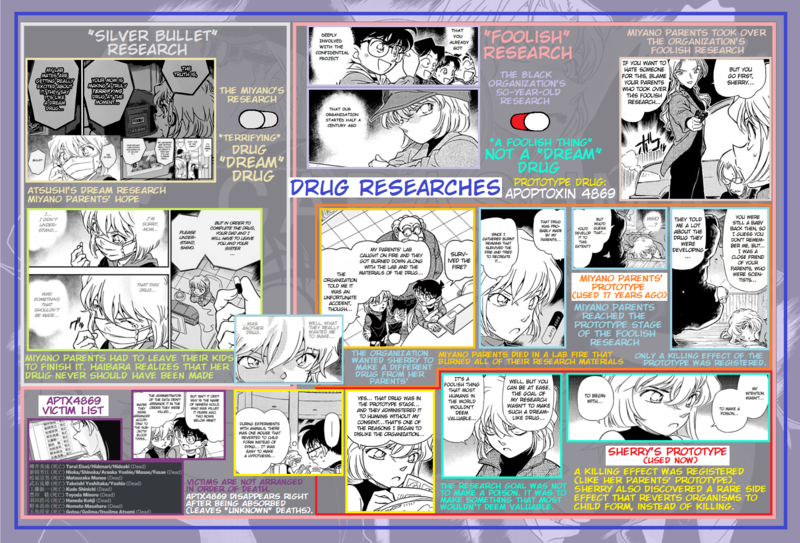 The person who messed up is actually Shiho, because Gin thought the drug is actually a killing machine with leaving no evidences. So I think that Rum isn´t blaming Gin. I mean, Rum can´t actually blame him. I'd have to agree, though it depends on how the Organization handles it. Problem is, though, our POV is very limited. We don't get a lot of "inside" information because Conan is an outsider in terms of the main plot and the insiders (Rei, Akai, Haibara, etc.) have various reasons for not bringing up that information. Thus, we have to infer things based on previous actions the Organization has taken. They're cutthroat about certain kinds of mistakes, such as the stuff with Pisco getting caught on camera. There's no deniability there, the guy got caught on film murdering a guy, and they knew he was going to spill everything if he gets arrested. They're also very quick to go after moles when found out or testing who could have betrayed them. Scotch is an example of the former. The latter is shown with Kir. They set up a test to make sure she was genuinely loyal to them via murder. However, Rum was forgiven for his own mistakes and the Organization is trying to clean it up, as evidenced by the Asaca song case. It could just be that Rum's doing what he's supposed to do, that something happened and Gin left a loose end incidentally (because the poison didn't kill, which had never happened before in their records), so he's trying to clean it up. The Organization doesn't know the ramifications of Gin's screw up, he's pretty high on the food chain, he wasn't caught on film, and he's otherwise proven loyal, so I doubt they'd go after him. Is it only me or Kouji case might been inspired by The Mirror Crack'd from Side to Side (Agatha)? Amuro was focused on Ran's keys to the Kudo mansion (File 1009) and later gave the wallet (that had those keys), that he allegedly found, to Sana (File 1010). He most likely stole them in order to break into the Kudo mansion and investigate Shinichi. Since Rum sent Bourbon another "hurry up" message, it makes sense that this is all leading to Bourbon rushing his Kudo mansion infiltration right after the case, and confront Akai there (as File 1009 showcased). Conan realized that Amuro was investigating Shinichi after he showed interest and he probably invited Amuro in order get info from him (File 1009). Since he later noticed Amuro's focus on the keys (File 1009) and found out about Amuro being in contact with Ran's wallet (File 1011), It's most likely leading up to him warning Akai and making preparations before the infiltration happens, which in turn would explain why Akai ambushed Bourbon and saying that Amuro messed up. After ages of anticipation, We have finally gotten official reveal of Miyano Atsushi (age 32) and Elena (age 29), who were revealed to have been doctors in the Miyano Clinic, before they joined the BO. We also got the confirmation to Rei's foreign blood. He is most likely half British, seeing as he has been associated with stereotypically British things and wears British-European-fashioned clothes. 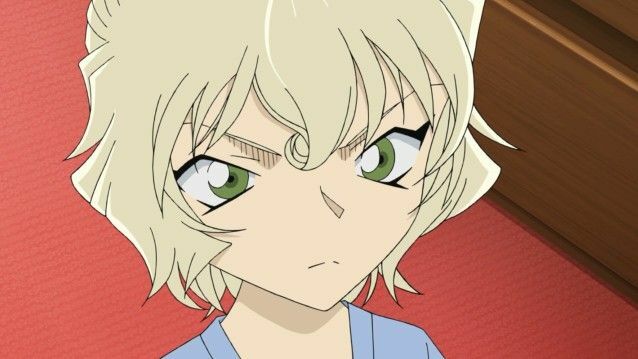 Another revelation was that Elena was half British, making Haibara and Akemi a quarter foreign, like Hidemi and Eisuke. As expected, Elena was also confirmed to have a sister (which is already indirectly confirmed to be Mary), who warned Elena about the BO before they joined. Since the Miyano visited Dejima's house "about 20 years ago" according to Ukihiko (File 423), and they were seemingly already BO members, since they were under BO surveillance, it suggests that their visit happened after the recent flashback (File 1011). Since Elena was 3-months-pregnant with Shiho during her meeting with Rei, it can only mean that both the Dejima visit and the flashback happened 19 years ago (which is still close enough to Ukihiko's estimation). 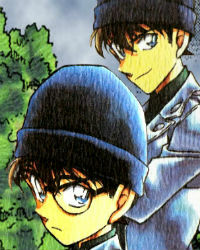 If one Judges File 423 through one perspective, Gosho seems to have retconned things, as he initially implied that Atsushi left his house to Dejima to move to a bigger research facility (which was thought to belong to the Black organization by Conan and Haibara) 30 years ago, but now seems to have moved in the BO's institution 19 years ago. However, It wasn't 100% clear whether the reason Atsushi lent the house was due to joining the BO or whether Dejima was simply recalling Atsushi's institution moving separately. Something important that was revealed is the fact that the BO were referred to as "Karasuma Group" (File 1011). Aoyama: What did you say? Was there such a thing…? The Organizations’ name? Did I say that..? Interviewer: Have you decided on the Organization’s name? Aoyama: Yes (beep-beep) is (beep), see. Aoyama: Yes, true, but the boss’ name…? I think it’s not too related…?? It makes more sense that "Ooguro/Daikoku" (which appeared in two BO-connected cases, File 116 and 281) is the BO name. The fact that Gosho revealed a name that is "Karasuma Group" in the flashback to 19 years ago leads me to believe that the BO changed their organization name after the Kohji case failure. This would mean that the BO was aware of not only the "ASACA" interpretation of the dying message, but also "CARASUMA". Since the Karasuma Group also had bad rumors surrounding them, it makes sense that they would change their image and branding to something else to stay under the radar once more (especially after their name was potentially left as a dying message). There were some interesting parallels in this case that pertains to Wakasa Rumi. After Fukamachi took off his glasses and was called by Morooka, he started to turn his head and look around quickly(File 1009) just like how Rumi did when Ayumi called for her in File 988. In the following chapter (File 1010), Kogoro tried on Fukamachi's highly strengthened glasses and reacted very similar to how Rumi did after bumping her head in File 966. This could very likely be Gosho seeding in the truth behind Rumi's suspicious head-bumps through this visual cue. This backs up my theory about Rumi wearing strengthened glasses that messed with her perception of distance. Last edited by MeiTanteixX on May 2nd, 2018, 5:20 pm, edited 3 times in total. Very good graph, we needed something like that to compile all we know insofar. CrimsonGenius wrote: Is it only me or Kouji case might been inspired by The Mirror Crack'd from Side to Side (Agatha)? Which aspects of the story do you mean? since it isnt a bad Christie at all. Tigers are proud, courageous, and generous. Being decisive and quick-witted, they are potentially great leaders. On the negative side, they do not like to follow orders and can cause interpersonal friction with others. I haven't really collected all of my thoughts on this yet, but I wanted to make a post to see what people think. What do you think of the idea that Wakasa Rumi and Wakita Kanenori could be collaborators? This thought came about while reading through posts from other people discussing the fact that Rums phrase in his texts to Boubon, "Time is Money" could be translated into Japanese and have the letters rearranged to create the name Wakita Kanenori. I thought that, rather than Wakita having this name because he is Rum or a subordinate of Rum, he may be a person who is looking for information on Rum, just like Wakasa Rumi is trying to do. I think it went like this: "Wakita" and "Wakasa" both know each other and together complied the information for the website on the Haneda Kohji case at some point in the past. By pure coincidence Conan heard the name Kohji while in the presence of Haibara who could explain that Kohji was on the ATPX list. This lead Conan to viewing the website which Wakita and Wakasa were not able to track properly. They then took the website offline themselves and leaked the information about Asaka being seen with the mirror to Hotta Gaito in order to lure out the person who had visited the site. Since both Kogoro and Conan appeared they then had to split up to investigate them both separately. They then created their fake names based on things that are associated with Rum. 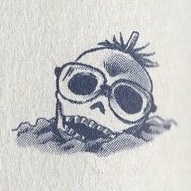 Wakita's name was based on Rum's often used phrase "Time is money" and Wakasa's name was based on the assumed meaning of the dying message of the Kohji case itself, with the addition of the W at the beginning and the I at the end, which are the same letters found at the beginning and end of Wakita's fake name. Both of them appeared in the series relatively close together with the only cases between them being the fitting room murder case and the 10 years ago beach flashback case. Rumi appeared first because Conan had to attend school every day so he would see her on the first day of her job. However there was no guarantee that Kogoro would appear at the sushi bar unless he won big at the horse track, which would take a few days. This is why Wakita found a way to either predict the winner and second place of the race or fix the race all the way through and then leave the ticket so Kogoro would find it, therefore inviting him to the sushi bar without him realizing it. When Wakita was reading the news paper at the end of the second Wakasa appearance, he said "quick witted" about Conan who was thematically playing the role of Ikkyu-san at the end of the case. But didn't Conan access the website from Dr. Agasa's house? Or was that just the last place he was shown doing so? If the former, wouldn't they be investigating the Professor? 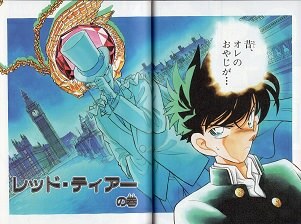 Swagnarok wrote: But didn't Conan access the website from Dr. Agasa's house? Or was that just the last place he was shown doing so? If the former, wouldn't they be investigating the Professor? Conan did access it from Agasa's house and on Agasa's laptop. However they were never shown going after Agasa. They specifically went for Conan and Kogoro. 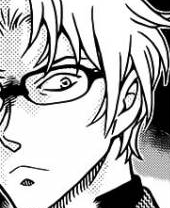 ".......which Wakita and Wakasa were not able to track properly. They then took the website offline themselves and leaked the information about Asaka being seen with the mirror to Hotta Gaito in order to lure out the person who had visited the site. Since both Kogoro and Conan appeared they then had to split up to investigate them both separately." jimmy_kud0_tv2 wrote: I haven't really collected all of my thoughts on this yet, but I wanted to make a post to see what people think. well, as collaborators, it would beg the question of who they are. What's their identities and motives? How are they connected to the Kohji case? What made them see Conan as a competent individual worth investigating after appearing with Kogoro? If Wakita isn't Rum or Rum's subordinate, how would he know about Rum's usual phrase? We don't know if Conan solving the case was written in the news, since it was highlighting Rumi's stunt more. Makes me question that they even would do that regardless of Rumi's spotlight, since saying that kids solved the case before the cops will make the MPD look incompetent to the public eye. Overall, it's a nice connection-making of what has transpired in Rum arc, just wanted to point out important questions that your solution suggestions bring with them. 1) Conan is already a renowned "Kid-Killer" plus someone showing interest in Kohji case. So Conan acting as a facade for a detective working from the shadows wouldn't be a far fetched assumption. So Rumi could be trying to connect with this detective whom she thinks is the brain behind Conan/Conan's mentor. 3) Also this can mean, Rumi and Wakita had two different goals. Rumi's goal is to get Conan solve the message behind the Shogi piece. 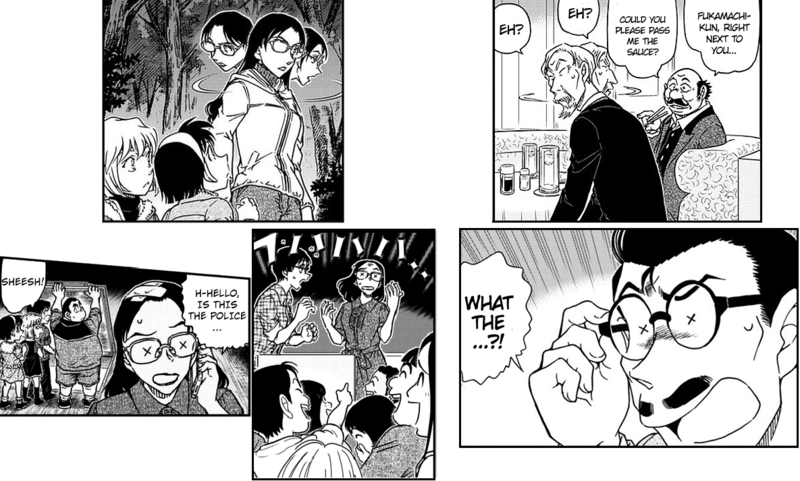 Wakita's goal is to evoke a reaction out of Kogoro, by using an anagram of "Toki Wa Kanenari" and Rumish get-up. For instance, the Camping trip(File-987) those exchange of words between them kinda gives a hint of any sort of relation or chemistry between them, which makes me wonder that once rumi-wakita and kuroda-wakita see each other that would be the real deal. Sometimes I really don't know if the references that I think I'm seeing in Gosho's characters are really there or if its just a trick on my mind since he actually is an author who does actually borrow character designs and brief character relations from characters of other series' and isn't afraid to admit it to everyone. Things like Sakurako and Kuroda being potential references to Cherry and Sakurambo from Urusei Yatsura and therefore related to each other seemed like a decent idea especially since they both appeared in the same case at the same time. It was almost like Kuroda could have actually gone there to pick her up from the crime scene since she just vanished and he used that opportunity coincidentally to tell Conan that he was now in Tokyo. However nothing has come from this and as we move forward it seems less and less likely that there would be any point to it. So unless something comes out of it in the upcoming police themed Chiba/Naeko case which could feature both Sakurako and Kuroda, I would kind of ignore it. Mention of Journey to the West. 17. What kind of manga would you like to draw if you had the chance? A story about Sun Wukong (Son Gokū). Q: Speaking of your next work, what about the Journey to the West that you mentioned in your interview with this mazagine in '08? A: I want to draw Journey to the West! I've finished the character design for Goku, and there was a plan to publish a one-shot on Sunday, but drawing ancient Chinese backgrounds is quite troublesome so maybe not. I'll say this since I don't think I'll keep drawing, but it's quite interesting (laughs). Q: When you've ended Conan, are there any themes you'd like to try out? 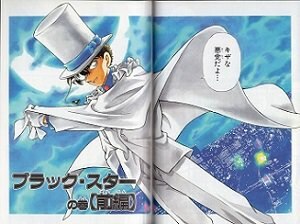 Q88: What kind of manga do you want to draw after the conclusion of Detective Conan? A: An adventure story like Journey to the West. Science fiction isn't bad either. If Rumi is the one uploading the case she would definitely want to list herself as dead so no one would look for her and want to put blame of Kohji's (and her own) death on the only other person she knew was present, Asaka. Over the 17 year gap she may have even enlisted other people to help her solve the Kohji case such as Kuroda, explaining how they could know each, and this could also be a reason behind Kuroda's comma. After that I believe that she may have enlisted Wakita's help (see previous posts in this thread). Typing the rest tomorrow as I ran out of time and have to sleep. Posting what I typed anyway. Next Kuroda Hyoue as Cho Hakkai (Zhu Baijie), a general fallen from Heaven for flirting with the moon goddess. He was forced to reincarnate on earth with an ugly pig face by the Jade Emperor. Finally Wakita Kanenori as Sa Gojou (Sha Wujing), a general fallen from Heaven and turned into a sandy river demon (a kappa in the japanese version). The Jade Emperor often sent flying swords after him which stabbed him repeatedly so he chose to remain under the water at all times to avoid them. jimmy_kud0_tv2 wrote: Sometimes I really don't know if the references that I think I'm seeing in Gosho's characters are really there or if its just a trick on my mind since he actually is an author who does actually borrow character designs and brief character relations from characters of other series' and isn't afraid to admit it to everyone. I read through it all, and although I think some parallels aren't that strong, a lot of them were interestingly fitting and might just be an indication to his influence from Journey To The West. The fact that Gosho has repeatedly shown interest to it does make some of these parallels have some legitimacy. Good work! I will go through some of the things that stook out to me. jimmy_kud0_tv2 wrote: Things like Sakurako and Kuroda being potential references to Cherry and Sakurambo from Urusei Yatsura and therefore related to each other seemed like a decent idea especially since they both appeared in the same case at the same time. It was almost like Kuroda could have actually gone there to pick her up from the crime scene since she just vanished and he used that opportunity coincidentally to tell Conan that he was now in Tokyo. However nothing has come from this and as we move forward it seems less and less likely that there would be any point to it. So unless something comes out of it in the upcoming police themed Chiba/Naeko case which could feature both Sakurako and Kuroda, I would kind of ignore it. jimmy_kud0_tv2 wrote: If Rumi is the one uploading the case she would definitely want to list herself as dead so no one would look for her and want to put blame of Kohji's (and her own) death on the only other person she knew was present, Asaka. Over the 17 year gap she may have even enlisted other people to help her solve the Kohji case such as Kuroda, explaining how they could know each, and this could also be a reason behind Kuroda's comma. After that I believe that she may have enlisted Wakita's help (see previous posts in this thread). Amanda was found dead according to reports, so BO would have crossed her off anyway, before she "works herself up" in the BO as a new person(if that's the idea you are going with). However, the fact that we got to see her with the APTX victim list, similarly to how son goku got ahold of "the book of life and death"(which also has a list of names) is definitely an intriguing similarity, which might be playing into the references he making with Rumi. Since we are talking about references/inspiration though, there's always a limit to them, so it's not a must that the action of "crossing off from the list" is something that Rumi had to have done. But who knows... I'm personally suspecting that Rumi is looking for the potential-APTX-victim Asaka, who, despite being missing, was crossed off as dead (hence why Haibara said Shinichi was the only unconfirmed victim), so maybe "crossing off" Asaka's name is the parallel to JTTW. that's interesting, to say the least. Also something that might be playing into the references. jimmy_kud0_tv2 wrote: Next Kuroda Hyoue as Cho Hakkai (Zhu Baijie), a general fallen from Heaven for flirting with the moon goddess. He was forced to reincarnate on earth with an ugly pig face by the Jade Emperor. Kuroda does seem to fit with the general, what with the whole Tsutomu "reincarnating" with a scary face / changing himself to Kuroda theories and all. jimmy_kud0_tv2 wrote: Finally Wakita Kanenori as Sa Gojou (Sha Wujing), a general fallen from Heaven and turned into a sandy river demon (a kappa in the japanese version). The Jade Emperor often sent flying swords after him which stabbed him repeatedly so he chose to remain under the water at all times to avoid them. this one sounds the least convincing, but I will wait for your full elaboration. thank you for presenting this special discovery.